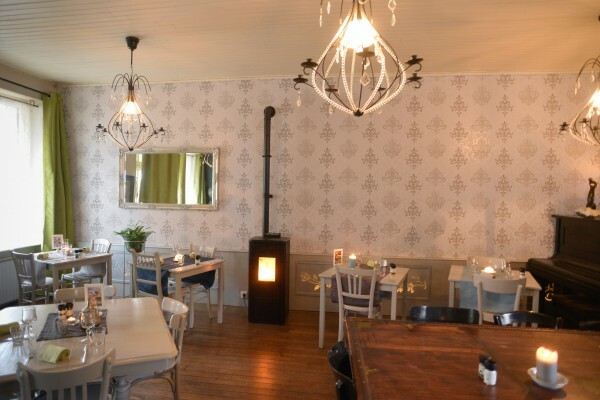 Cosy familyhouse that was once a hotel and was turned into bed and breakfast and restaurant. We welcome you to explore the national parc and of course our cosy place next to the river Ternin. 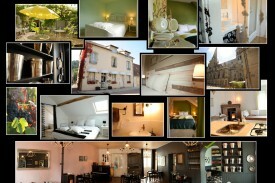 We'll try to give you a pleasant stay in the beautiful national park the Morvan. Here you can still enjoy the serene landscape and dark nights and beautiful hikes over the hills and in the forests. In our house we'll try to make you feel at home and to enjoy a good meal in our restaurant or on the terrace in the garden. We offer bikes and a little sauna and there's a nice rose garden to relax in or the library to read a good book next to the fire place. There is easy access to a parking possibilty behind our house. Free use of internet by wifi. 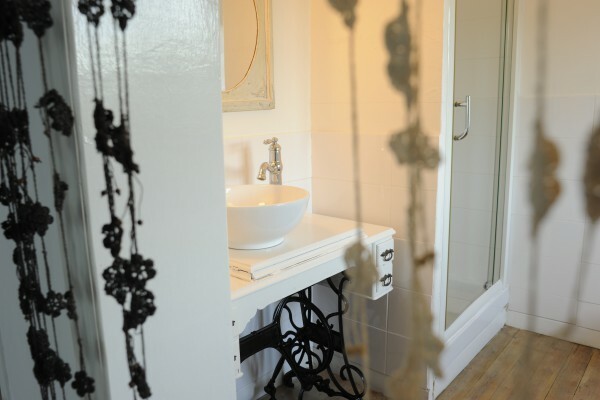 Our three stylish bedrooms are equiped with bathroom (shower and toilet) and wifi is available in the house. We have one room with both a shower and bath and one room which has a double shower for two persons. 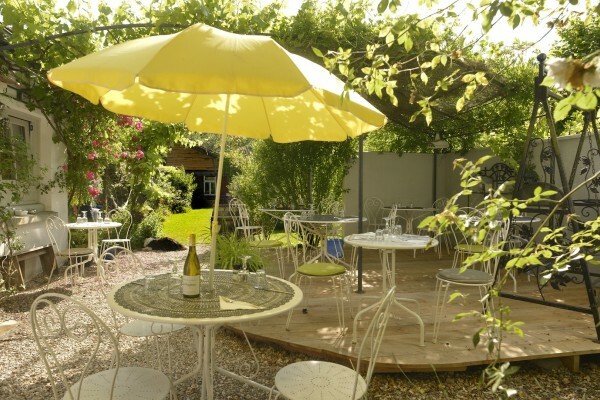 The little house (gite) in the garden is a cosy place with bathroom, kitchen and woodstove. Pellets for the woodstove €5,-per bag/15kg. in our restaurant or on the terrace. Dinner and lunch in our restaurant downstairs during opening hours and on demand for guests of the rooms on some other days. If your pet doesn't disturb others (and doesnt' dirty the place) it is welcome to come along only in our gîte. wij verbleven in een gite achter het hotel. We kwamen voor het 2e jaar en dat zal beslist niet de laatste keer geweest zijn. als je het gevoel van "la douce france" wilt beleven neem dan kontakt op met de eigenaar van "la roseraie" en ontdek wat genieten is in de morvan. Zeer aangenaam verblijf van 5 dagen in deze mooie B&B. Menno en Ellen zijn nog geen jaar open en ze doen het al fantastisch. Gastvrouw kan zeer lekker koken en is zeker een aanrader voor een verblijf in de Morvan. Chambres très accueillantes, grande salle de restaurant, terrasse très agréable. Menno et Ellen très sympathiques, toujours souriants et très bonne cuisine. Did you stay in La Roseraie? Let us know what you thought about it and help others to make the right choice! * I confirm having stayed in La Roseraie. 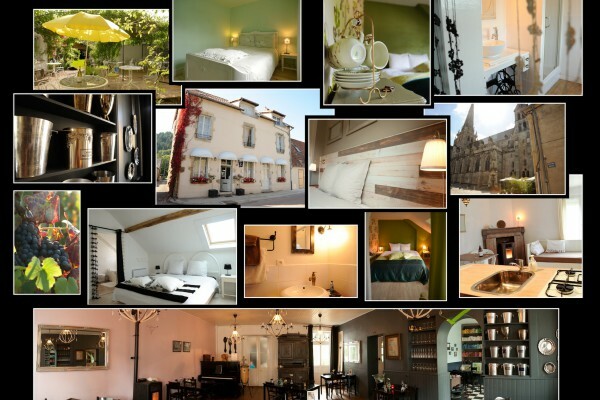 Find other bed & breakfasts in Lucenay-l'Évêque, all bed & breakfasts in Saône-et-Loire or all bed & breakfasts in Burgundy.